Choosing a private Catholic education entails an expense, but the advantages of a Nazareth School education are worth the cost. The school’s personalized curriculum helps students grow into confident and productive adults. 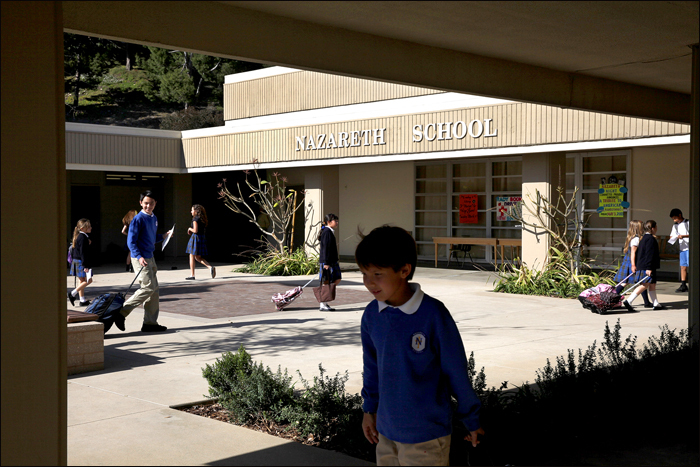 Nazareth School is committed to affordable education. The school offers a variety of payment plans and family discounts. FACTS  Tuition Management Service allows parents to pay costs through an automatic monthly bank payment. The Sisters of Nazareth and the Bishop Flores Scholars provides tuition assistance to qualifying families. Parents may apply for tuition assistance by completing an application with TADS (Tuition Assistance Data Service). Applications are accepted from January 2, through February 28 each year. Parents are also encouraged to contact their parishes for school tuition assistance programs.